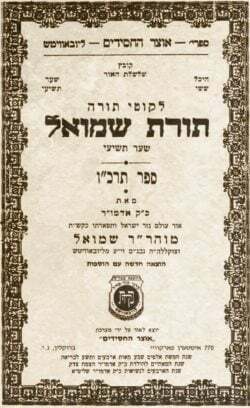 Known as the "Rebbe Maharash," Rabbi Shmuel of Lubvitch was the fourth link in the chain of Chabad leadership. In a career that was cut short all too soon, Rabbi Shmuel strengthened Chassidus, combatted anti-Semitism, and prepared the ground for Chabad's global reach. “Rabbi of Lubavitch,” said the Minister, “do you dare to intimidate the Russian government with threats of the power of foreign capitalists?"